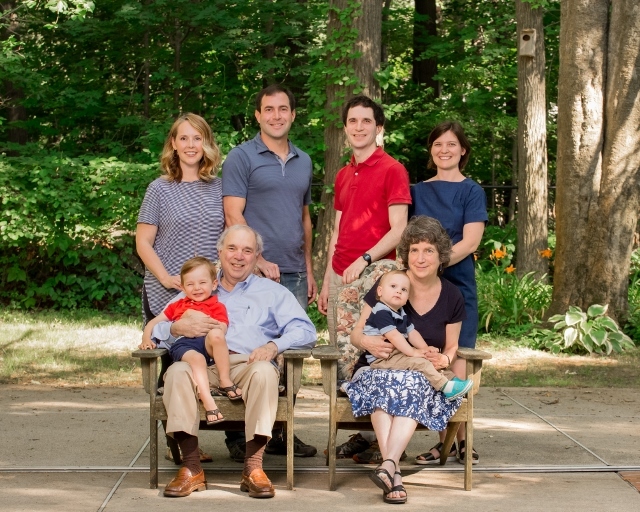 Marsha and Jonathan met in Cambridge in 1975, when we were grad students at MIT and Harvard. We have been happily married since 1977. 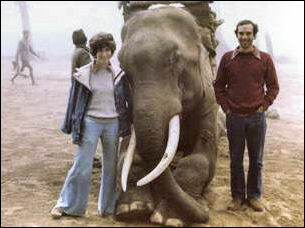 Here we are in Nepal in 1977. Our family at our home in Lexington, MA in 1990. 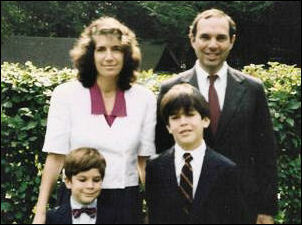 Daniel graduated from Noble and Greenough School in 1999 and Columbia in 2003. 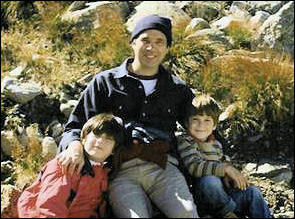 He was a Director at Holliday Fenoglio Fowler, L.P. in New York, and received his MBA at Berkeley's Haas School of Business in 2012. Now he is Senior Director, Transactions at Security Properties in Seattle. 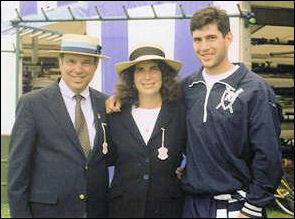 Here he is competing in the Henley Royal Regatta. 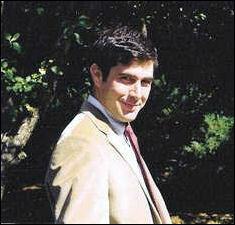 Steven graduated from The Roxbury Latin School in 2003 and from Harvard in 2007. 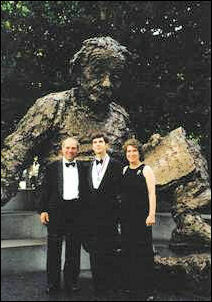 He received a PhD in Physics from Berkeley in 2012 and, after a post-doctoral fellowship in the Capasso lab at Harvard, he is now a physicist at Draper in Cambridge, MA. 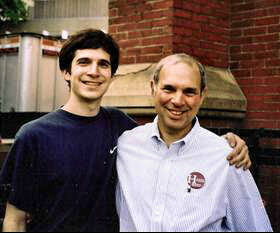 Here he is as a winner of the USA Mathematics Olympiad in 2002 (left) and on move-in day at Harvard in 2003 (right). Dan with Kristin - they got married August 29, 2009. Kristin was Northwest Regional Sales Manager for Pandora.com. Now they have a young son. 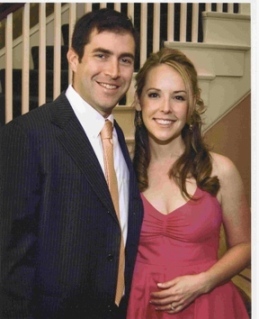 Steve with Nicole Ledoux in 2004 - they got married July 1, 2012. 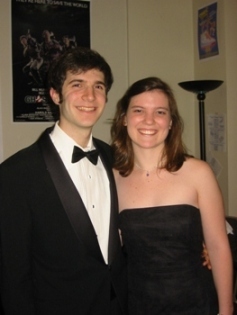 Nicole was a Straus Fellow at the Harvard Art Museums. Now they have a young son too!